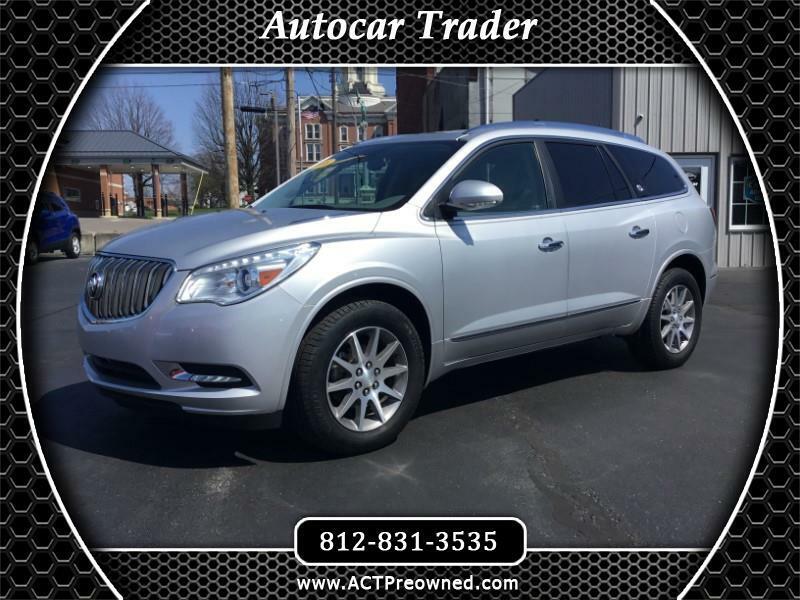 Say hello to this absolutely gorgeous 2016 Buick Enclave that just hit the lot! If you like your socks on your feet then I'd advise you to look for a different vehicle, because this one will blow them clean off! It is a 1-Owner, No Accidents vehicle that has resided here in Indiana it's whole life! Stock with great features such as: LEATHER, BLUETOOTH, BACK-UP CAM, SIRIUS, PANDORA, HEATED SEATS AND MUCH MORE. The body and interior are both in immaculate shape. Drives like a dream. Give us a call!